The title story is excellent as well. A Christmas lights competition causes some strife in town, especially to the editor of the local paper (a true Grinch, at times). Like most of these stories, there is a moral, a lesson, a wacky twist, or a combination of the three at the end. I’d say more, but Vonnegut is a surprising writer and it’s best to read him without knowing much. Also, I have to note that Dave Eggers wrote the forward, and it is great. And throughout the book, drawings by Vonnegut abound. They are odd, abstract, and really, really awesome. Definitely pick this book up. This entry was posted in CBR5 and tagged #10, #CBR5. Bookmark the permalink. 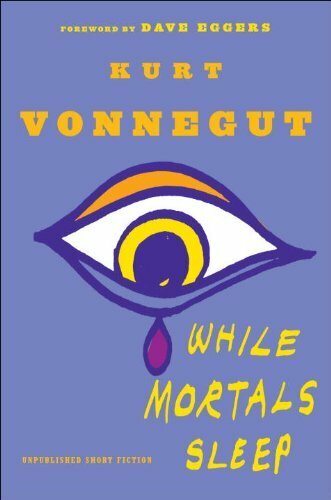 1 Response to While Mortals Sleep by Kurt Vonnegut, Jr.